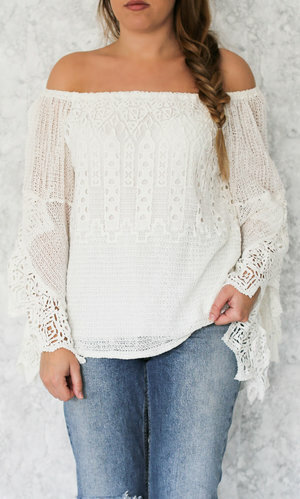 Bohemian, beautiful top in cotton knit and embroidery. Elastic top and sleeves with open cuffs. Available in creme and pink. 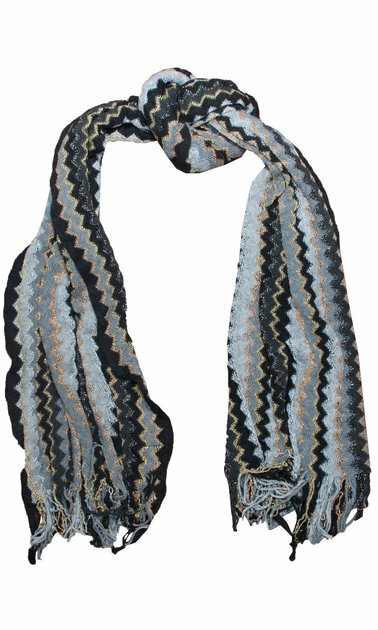 Superb fine wrap in zigzag patterns. Available in several colors that appear in multi color black.